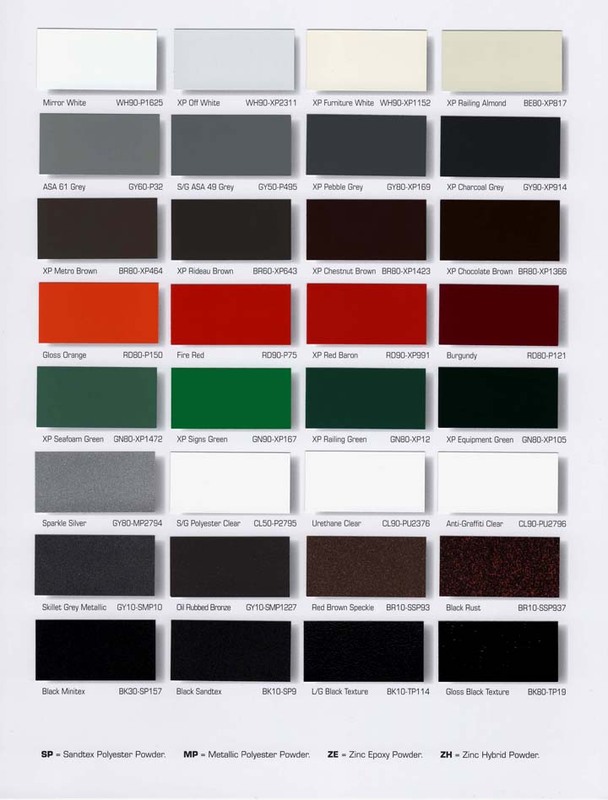 188 Super Durable (XP) RAL colours. Mininum 25 Kg order unless in stock. 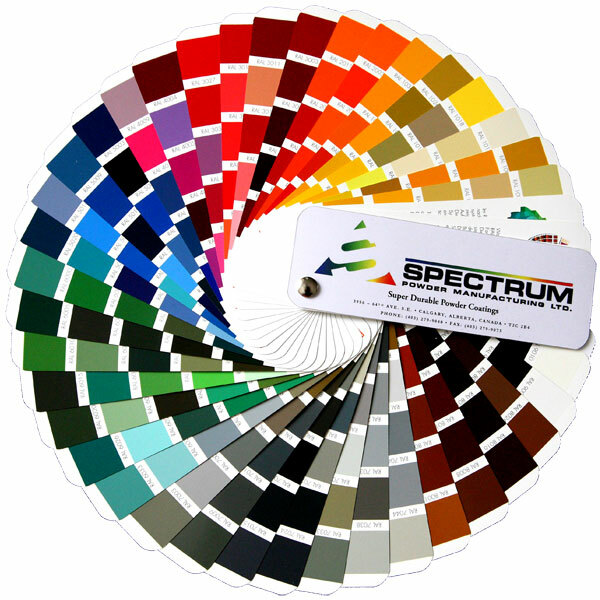 Spectrum Powder Coatings supplies powder from our inventory of over 300 stock powders across Western Canada. 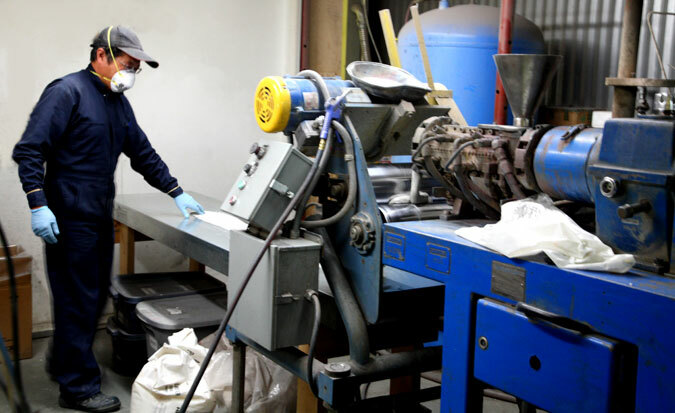 If we don’t have something in our warehouse that meets your needs, then we can make you a Custom Powder. Just provide us a panel and we will match it in a formulation that suits the intended end use. Download our Color Match Request Form, click here for pdf form. 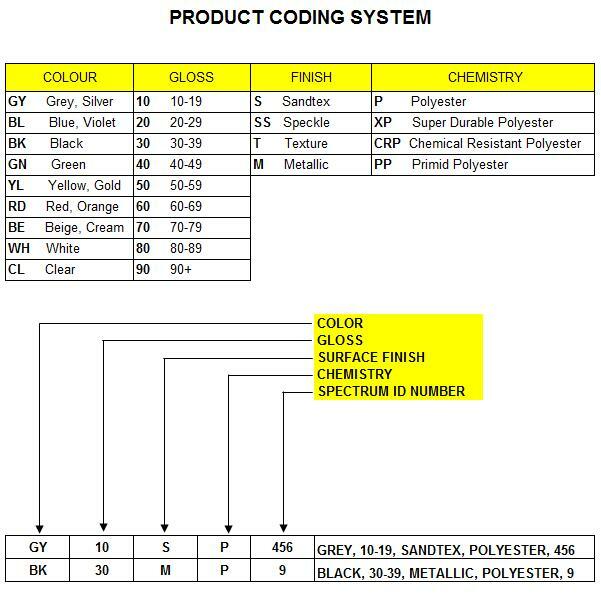 ------------Based on your sample or RAL colour number. -------------TGIC Polyester or Polyester Primid. Box labeled with Product Code/Colour Description/Batch Number. 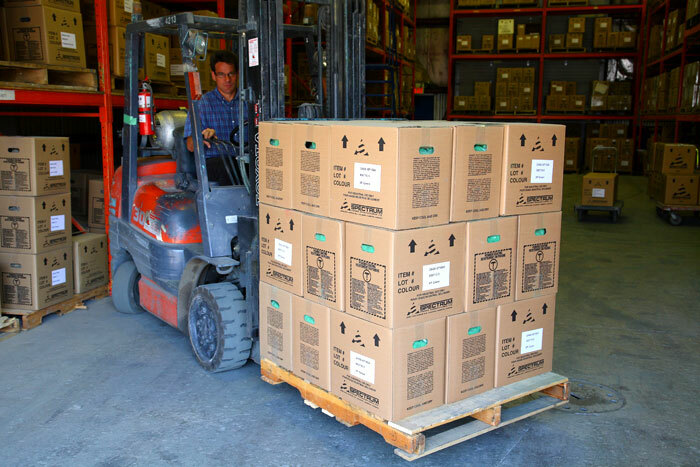 MSDS and Technical Data Sheet will be included in the shipment of any new product. Cloverdale Paint Inc. warrants its products to be free from defects in material and workmanship. At its option, Cloverdale Paint Inc. will either replace products not conforming to this warranty or credit the Buyer’s account the invoiced amount for the non-conforming products. 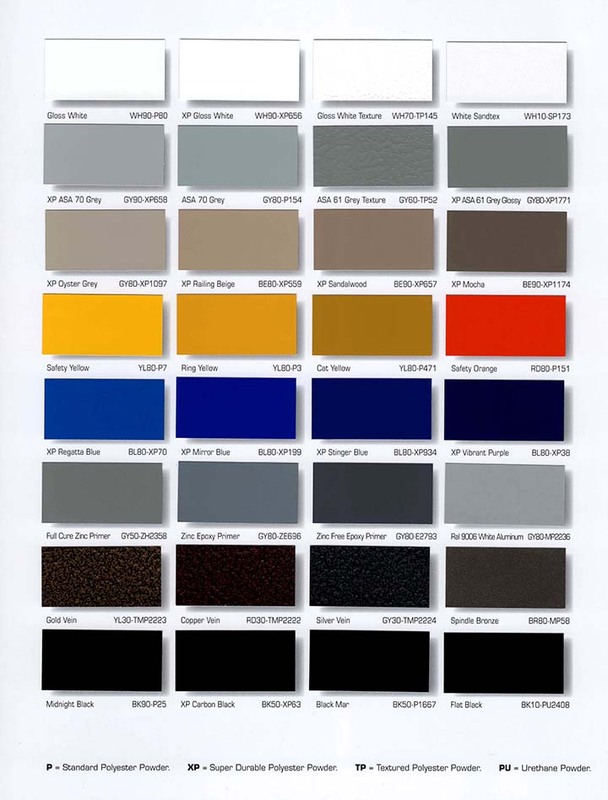 This is Cloverdale Paint Inc.’s sole obligation and Buyer’s exclusive remedy in connection with the products. In no event shall Cloverdale Paint Inc. be liable for special, indirect, consequential or incidental damages. By purchasing this product the Buyer accepts this warranty in lieu of all others, and waives all claims to any other remedy arising from any warranty or guarantee of quality, whether such warranty or guarantee of quality was made expressly to the Buyer or implied by any applicable law. Any claim under this warranty must be made in writing by the Buyer to Cloverdale Paint Inc. within ten (10) days of discovery of the claimed non-conformance, but in no event later than one (1) year from the delivery date. The Buyer’s failure to notify Cloverdale Paint Inc. of such non-conformance as required herein shall bar the Buyer from recovery under this warranty. Copyright© 2003-2016 Cloverdale Paint Inc. All Rights Reserved.